If cleaning is not your cup of tea, and you especially hate cleaning your kitchen, you can call our company and we will help you with that. 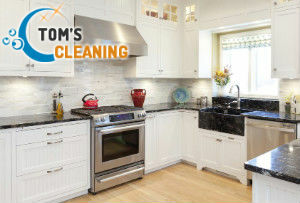 We are a cleaning services contractor, and kitchen cleaning is what we do best. We have helped many people from Earls Court and the area with their kitchen cleaning needs, if you want us to help you too, do not hesitate to give us a call right away. We understand how important the kitchen is to every home. There the family spends most of their time together, and is where the meals are being prepared, but because of that, the kitchen is also one of the dirtiest rooms in the house, and needs to be professionally cleaned from time to time. Feel free to hire our fantastic professional kitchen cleaning service for help with this chore. Our cleaners clean using strong degreasers and we guarantee you, your kitchen will be left spotless, fresh-scented and disinfected. Our cleaners will take good care of your kitchen and will make it a safe place for your family. Here is what our cleaners will do – clean the oven, microwave inside and out, they will also vacuum and mop the floor, clean windows, sanitise the sink, dust, damp-wipe all kitchen appliances and cabinets, they will clean range hoods and stove tops, etc. You can rely on our perfect kitchen cleaning service. We guarantee you more than satisfactory results. Our cleaners are the best ones you can find in Earls Court, and they will prove it to. Take advantage of our budget friendly prices. Call us now.